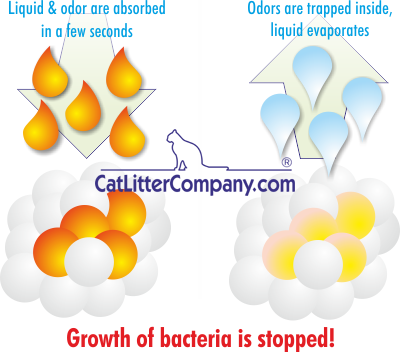 Our Silica cat litter is a natural product made from very pure talc and water. 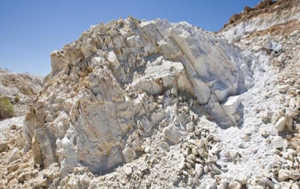 This mixture is cooked during days at high temperature and high pressure to create the smallest as possible bubble of evaporation, then built up the smallest and dense micro-porosity as possible. Silica cat litter can adsorb liquid as over (100% EU-test) of its own weight and still keep its appearance dry. Liquids are absorbed in a fraction of a second, then the water evaporates slowly to leave dry litter that can be re-used for a long time. It completely locks away odors for a month. They are absorbed at the same time as the liquids. Whilst the liquids evaporate, the odors are trapped in the centre of the silica granules, totally blocking ammonia emissions. Silica cat litter is non-toxic and pollution-free, so that it can be a green product for family use. The used cat litter can be place in the household waste bin or spread on the garden. 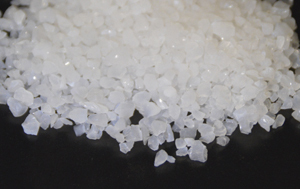 Silica cat litter has the appearance of a white granular material and has a light weight, it is hard to be broken, can inhibit bacterial from growing and is the most popular cat litter products in the current international market.